I hope you enjoyed my blog post earlier today featuring an interview with Holly Becker. 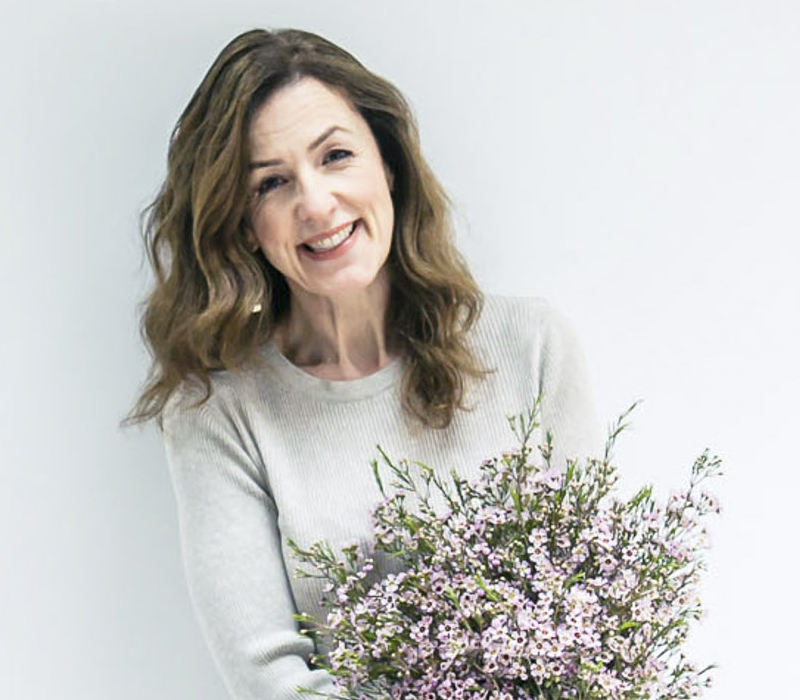 It’s now the turn of freelance stylist and photographer Leslie Shewring, the co-author of the new book ‘Decorate with Flowers’. What an amazing and very beautiful first book! Please could you describe to us how it came about, from initial concept to reality? Thank you! Holly Becker and I were brainstorming some book ideas together and we were both drawn to the idea of doing an approachable flower décor book. We wanted to share our love of simple and casual ways of bringing flowers into our homes. Since we both enjoy crafting, we wanted to include that in the book as well with various projects we thought people may enjoy doing. We spent a few months going over our ideas and then presented our project to Jacqui Small Publishing. When we were given the ok, that’s when all the real fun began! Loads of flowers and photos! And of course lots of writing! 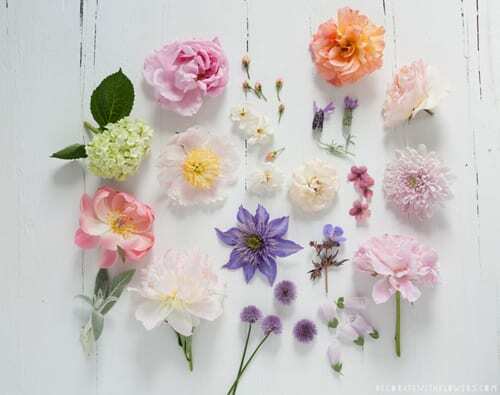 What are your first recollections of flowers when you were growing up? I grew up with an enormous garden in a rural area on Vancouver Island. I remember growing flowers with my mother and creating bouquets from a really early age. My grandfather lived with us when I was little and he and my mother tended the massive garden every day. After he passed away, my mother continued gardening on the same land and does to this day. Our family love of gardening has stayed with me as I always enjoy working in the garden and I always love growing flowers. 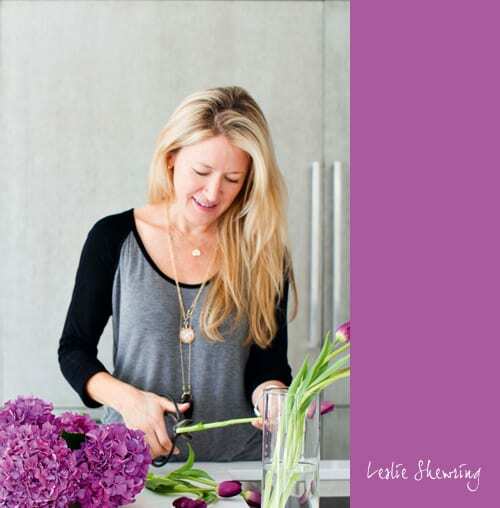 I’ve loved your floral designs and photographs since taking my first Blogging Your Way course. 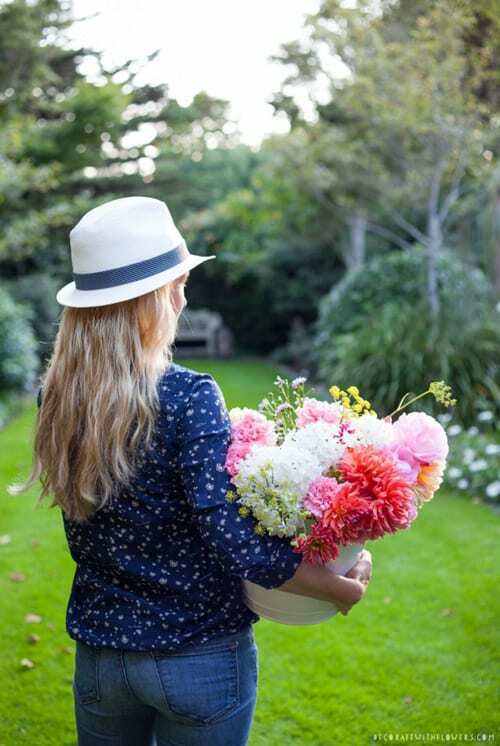 How have you developed your flower arranging skills? Thank you Rona! I’ve been doing flower arranging on and off for over 20 years. While in university, I would do custom floral designs for people and I actually taught floral arranging at a local interior design shop in the evenings and on weekends to earn extra money to help with my university costs. I also used to do all the flowers for my friends’ weddings, from the bridal party flowers to the table bouquets. I have learned through doing it over a long period of time. Which flower story in the book is your very favourite and why? I think I’m a combination of all the stories. It’s really too hard for me to choose a favourite. I love them all. What kinds of potential readers did you have in mind when you and Holly wrote the book? 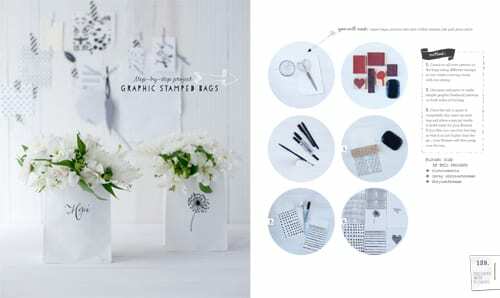 I think this book is really approachable for most people who are interested in design and want to be inspired with some fresh ways of bringing flowers into your home. 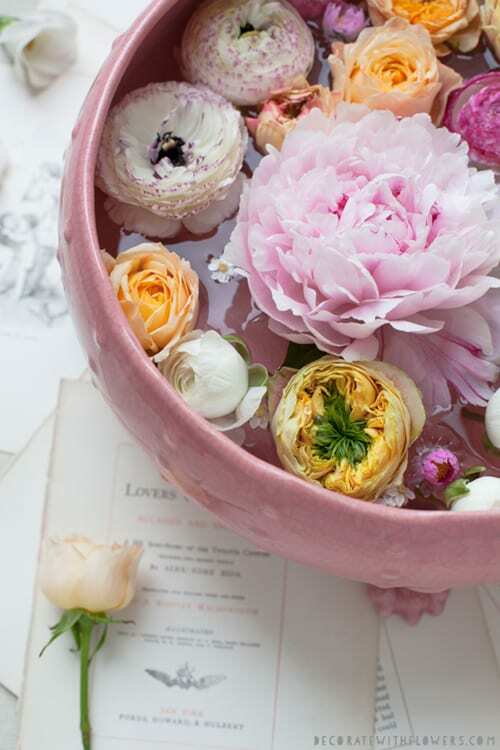 Where do you find inspiration for styling flowers? My inspiration for styling always comes from what is available for me to use at any given time for an arrangement. What is growing in the garden, what may be for sale at the farm stands or possibly what is affordable at the wholesale market. Usually, it’s what is in season. 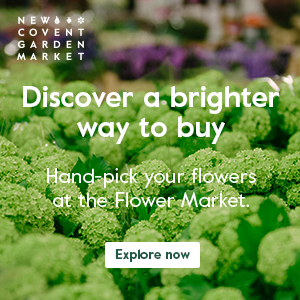 What would be your desert island flower? A garden rose, like David Austin’s Duchesse de Montebello. Bought or a gift? Gift from the garden! Thank you SO much to Leslie for all her help in compiling today’s blog post. 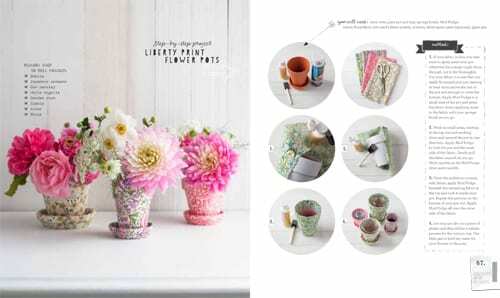 If you’d like to find out more about Leslie, she has a beautiful blog called A Creative Mint. And here’s where you can find her on social media. Many congratulations to both Leslie and Holly for creating such a wonderful book! ‘Decorate with Flowers‘ is published by Jacqui Small and it will be available in the UK from March 21st, when it will also be distributed to English book stores across Europe, Asia, Australia and New Zealand. A German version will be released this month and you’ll be able to find the book in stores and online in both Canada and the United States from April 8th. P.S. I’ll be featuring my review of the book on Flowerona later this month. Thank you Rona for doing this wonderful post!!! Thank you, Rona, for sharing Leslie and Holly’s beautiful new publication! Absolutely stunning in every way and loved reading about how it came about. Inspiring on so many levels.